Losing outdoor fun due to lacking of entertaining outdoor furniture? 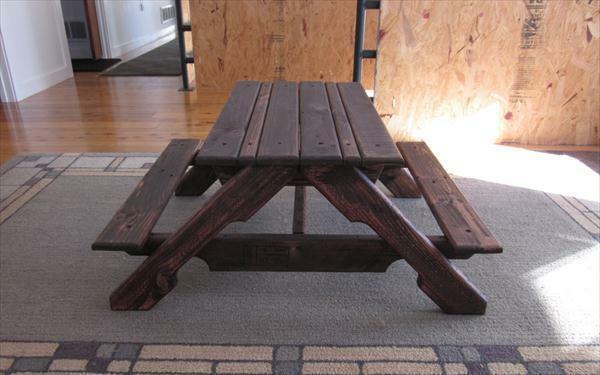 If your wallet is not allowing you to get that amusing picnic tables then get them free from pallets. Yes, it is much possible to do but takes a little bit planning. 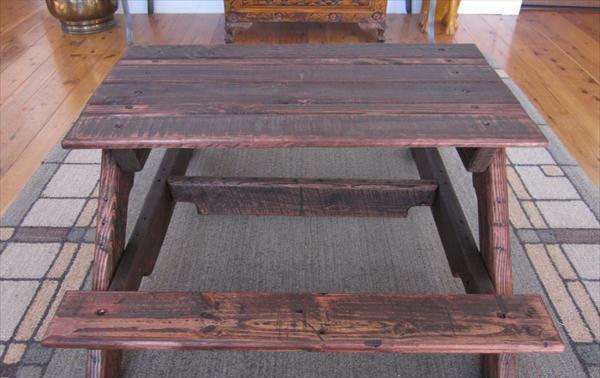 Take a look on this joyful appearance of DIY pallet picnic table, purely handcrafted and salvaged from pallets. 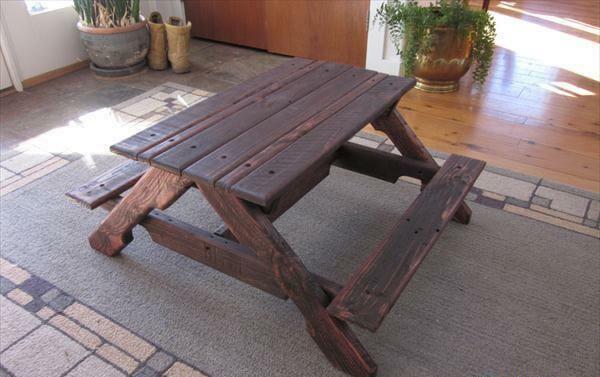 You can meet those old rustic pallets at road sides, dumping grounds, scrap piles and also at shipping places. Get them home to get amazing furniture crafts out of them. 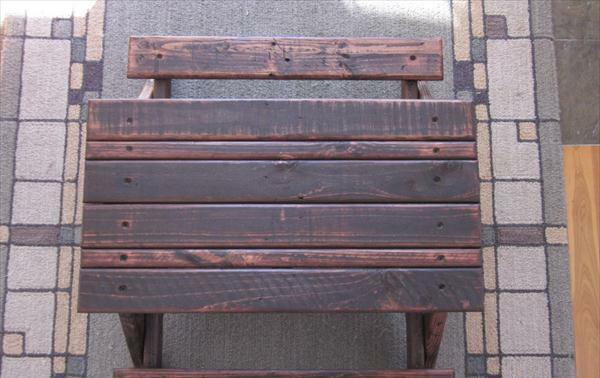 The DIY pallet outdoor table is a special version made for toddlers to have fun by sitting and eating on it comfortably. perfectly stained with red mahogany stained for amusing wood tone and it can live a full life time for sure!! This handmade exciting type of table will also useful to place in your garden or at pool deck space to enjoy outdoor in pleasurable mood.